These days, international cuisine can simply mean a catch-all for all those restaurants that don't easily fall into a single convenient category. 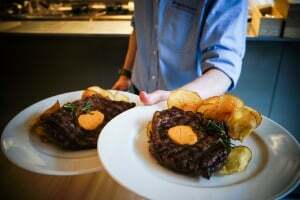 On the other hand, as culinary eclecticism – or fusion – becomes ever more popular, restaurants are happy to offer menus that might combine elements from Italian, French and American cooking alongside more exotic dishes from, say, South-east Asia. Whatever your preference, Warsaw has most of the international options covered.